A man drives to work at 6:30AM, as he has for eight years. He punches his time-card and is soon confronted by his supervisor. John is berated and humiliated as he has been repeatedly over the years for minor things. This time he quits. Storms! A strong thunderstorm sweeps through the area and destroys a farmer’s crops and barns. He is already deep in debt. Storms! A widow faces an empty house and bed for the first time in 40 years, Storms! Storms come in many fashions and many ways. 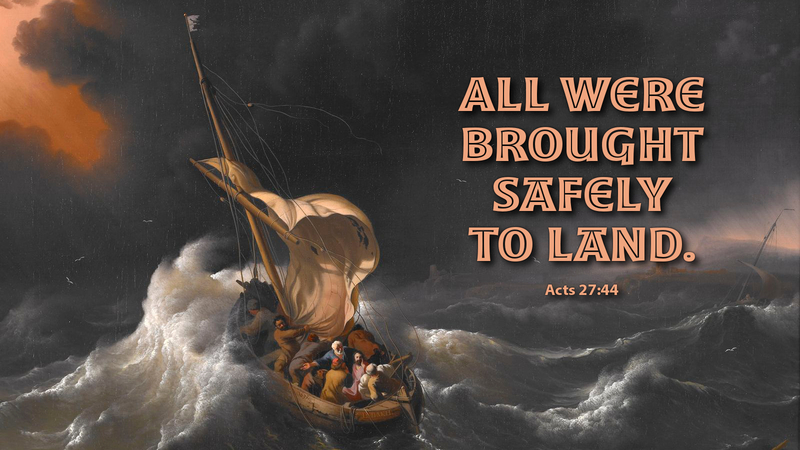 St. Paul was literally in a storm, as recorded in Acts 27. In the midst of being transported to Rome, where he will eventually be killed, a huge storm arose. Paul brought calm and reason in the midst of the storm. Prayer: Lord, help us lean into your strength regardless of the storms around us. Amen. Excellent devotion. It really spoke to me. Thank Pastor Corbels and Our Heavenly Father.